Economics, over the years, has become more and more abstract and divorced from events in the real world. Economists, by and large, do not study the workings of the actual economic system. They theorize about it. As Ely Devons, an English economist, once said at a meeting, “If economists wished to study the horse, they wouldn’t go and look at horses. They’d sit in their studies and say to themselves, ‘What would I do if I were a horse?’” And they would soon discover that they would maximize their utilities. Coase, as O&M readers know, prefers direct, hands-on observation to abstract theorizing. As a Misesian [serious, hubba hubba], of course, I can’t endorse this view as a general prescription, though I recognize its value for empirical work. Sometimes it’s best to look at real examples, or to ask real practitioners. Kaplan and Strömberg read through real-world venture-capital contracts to see how control rights were allocated. Genesove and Mullin used the minutes of trade-association meetings, not modeling, to figure out how members of the US sugar cartel maintained compliance. Here’s another interesting example: “What Do Boards Really Do?” by Miriam Schwartz-Ziv and Michael Weisbach. We analyze a unique database from a sample of real-world boardrooms – minutes of board meetings and board-committee meetings of eleven business companies for which the Israeli government holds a substantial equity interest. We use these data to evaluate the underlying assumptions and predictions of models of boards of directors. These models generally fall into two categories: “managerial models” assume boards play a direct role in managing the firm, and “supervisory models” assume that boards’ monitor top management but do not make business decisions themselves. Consistent with the supervisory models, our minutes-based data suggest that boards spend most of their time monitoring management: 67% of the issues they discussed were of a supervisory nature, they were presented with only a single option in 99% of the issues discussed, and they disagreed with the CEO only 3.3% of the time. In addition, managerial models describe boards at times as well: Boards requested to receive further information or an update for 8% of the issues discussed, and they took an initiative with respect to 8.1% of them. In 63% of the meetings, boards took at least one of these actions or did not vote in line with the CEO. I think Ronald would approve. 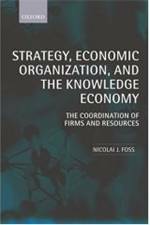 Entry filed under: - Klein -, Corporate Governance, Methods/Methodology/Theory of Science, Recommended Reading. Come on Pete, Rothbardian paxeology is SO old school! Reading the first paragraphs, I had the exact same thought. From an empiricist, positivist point of view, Coase’s comments make a lot of sense. Modern, inductive economics cannot study horses by introspection and armchair theorizing – it doesn’t make sense at all. But from a praxeological point of view, it certainly does. 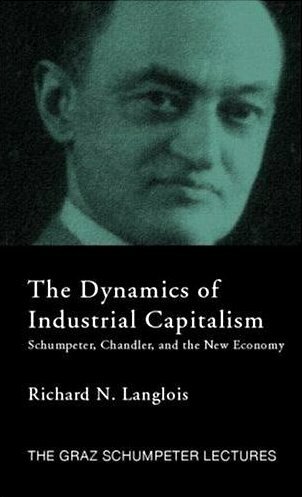 So would it be fair to say that armchair theorizing by modern economists is but a remnant from the older and deductive economics? Do you think that the initial, almost gut appeal of Coase’s story for some praxeologists, is his appeal for realism? Causal-realist economics, although abstract in its discursive reasoning, does not abstract from reality the way, say, mathematical economics does. It begins with reality. One ends up agreeing with positivist criticism of the “f of x’ers” as well as mathematical economists’ criticisms of positivism. Shawn, I think that is a very good point! Is the argument then, that horses do not maximize their utility? How irrational. David, everybody knows horses are satisficers.